Released on: April 3, 2012. 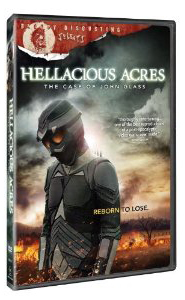 Written, directed and edited by Pat Tremblay, 2011’s Hellacious Acres: The Case Of John Glass is an odd film that tells an odd story in an odd way. The narrative introduces us to, as the title implies, a man named John Glass (Navin Pratap) who wakes up in a cryogenic freezer stashed away in a barn in the middle of nowhere. 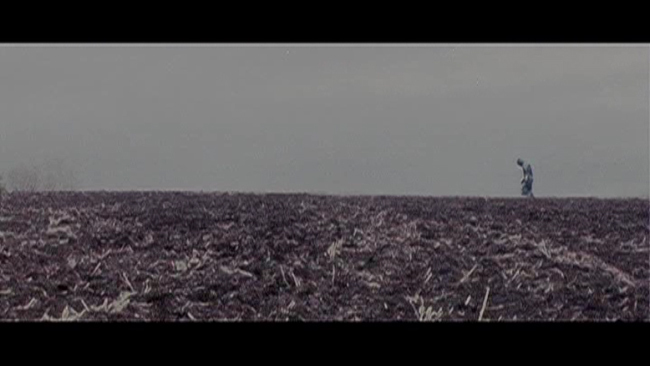 He wakes up with no memory and, obviously suffering from amnesia, starts to wander around only to quickly realize that things are not at all as they were left – the Earth has been ruined by a massive world war that’s left pretty much the entire planet a post apocalyptic wasteland. From here, he wanders the area seeing what is left, what he can make use of and what he can scavenge – but he’s being followed by strange alien beings that look for all the world like weird jellyfish floating through the air. Eventually he’s recruited to help out on a mission that, if successful, could mean the possibility of hope for mankind but those aliens and a fairly insane local population aren’t going to make it easy. 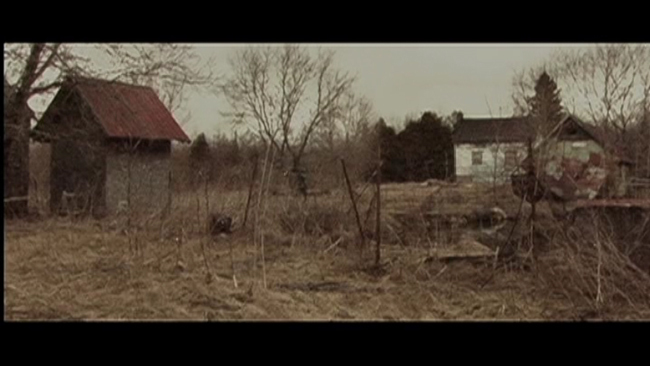 Short on dialogue and heavy on long, wide angle shots of John wandering around barren, empty fields and digging through the remnants of old barns and structures, this one moves at a very strange pace. In fact, strange is the right way to describe pretty much every aspect of this low budget production. Tremblay gets bonus points for crafting a film of fairly marked originality and for not playing to genre stereotypes but on the flip side of that coin is the fact that a lot of people aren’t going to necessarily get their heads around what he’s trying to do here. 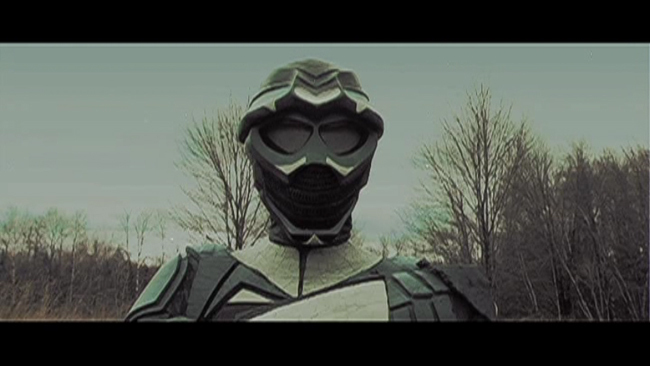 A lot of black comedy is infused into the picture, which helps keep it interesting, and the compositions are always very cool looking but a bit more character development and a little more relatable aspects would have gone a long way towards letting the audience care more about the movie’s outcome. As such, it’s hard to specifically recommended this movie, even if at the same time it’s easy to say that it’s one worth seeing. The caveat there is that it’s a fairly experimental movie and more of a periodically surreal and pensive movie than the horror tinged sci-fi movie that the packaging makes it out to be. Those expecting a post apocalyptic film like the ones made by Enzo Castellari are going to be very disappointed but if you’re okay with a stylish slow burn and don’t mind having to figure things out on your own and draw your own conclusions as to where certain aspects of the movie are going, give this one a look. 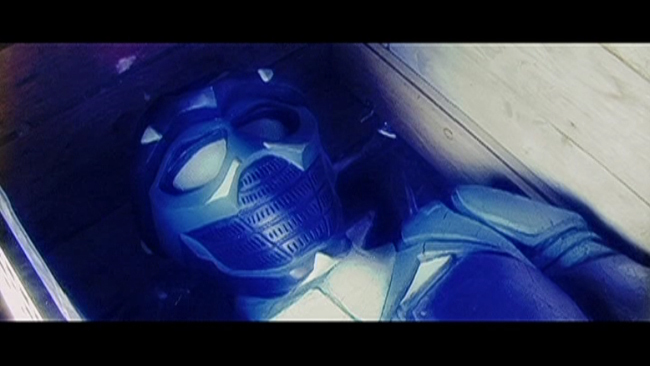 The 1.78.1 anamorphic widescreen transfer on the DVD is fine. Detail is pretty good, color reproduction is nice and accurate looking and skin tones look natural enough. There are some very minor compression artifacts noticeable in a couple of the darker scenes but otherwise, the movie looks good on DVD. The only audio option on the disc is an English language Dolby Digital 2.0 Stereo track, no alternate language options are provided. Clarity is good throughout and the track is properly balanced. Extras are limited to a handful of deleted and extended scenes, menus and chapter stops. 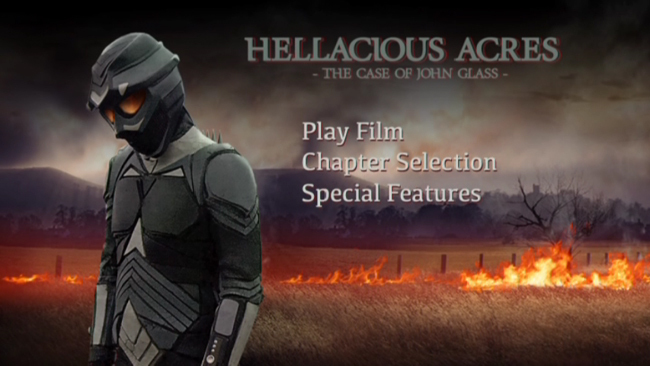 Hellacious Acres: The Case Of John Glass is pretty weird stuff. 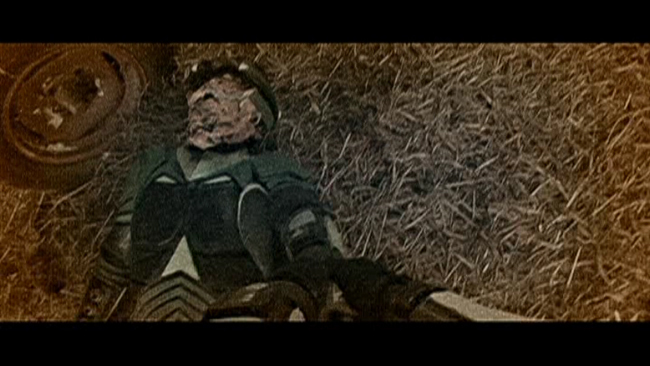 You’ve got to give Tremblay credit for doing a lot on a limited budget and for creating some pretty interesting visuals, but it’s not a particularly accessible picture in a lot of ways. There are problems with the pacing and the plot and the slow nature of a lot of the movie will probably put some off – but there’s a lot of creativity here that is definitely going to appeal to a certain segment of the cult movie demographic.